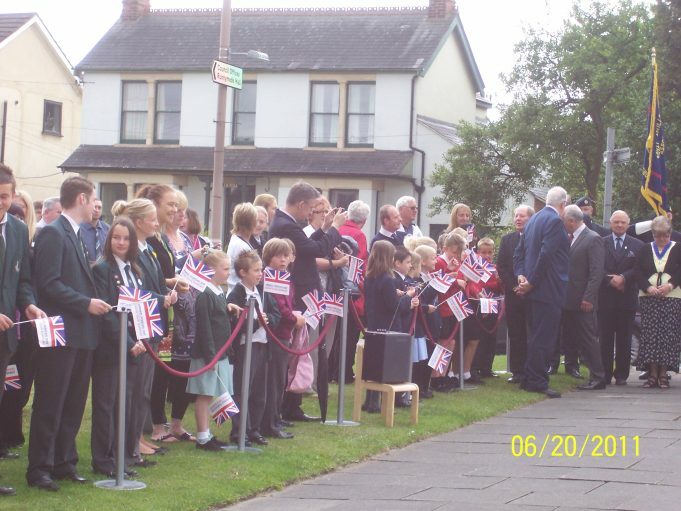 I attended the event with my daughter Bridget Underwood, who took all the photos. 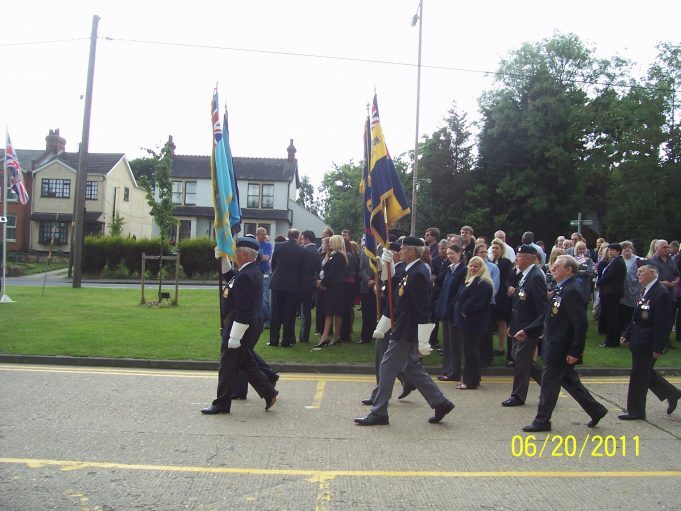 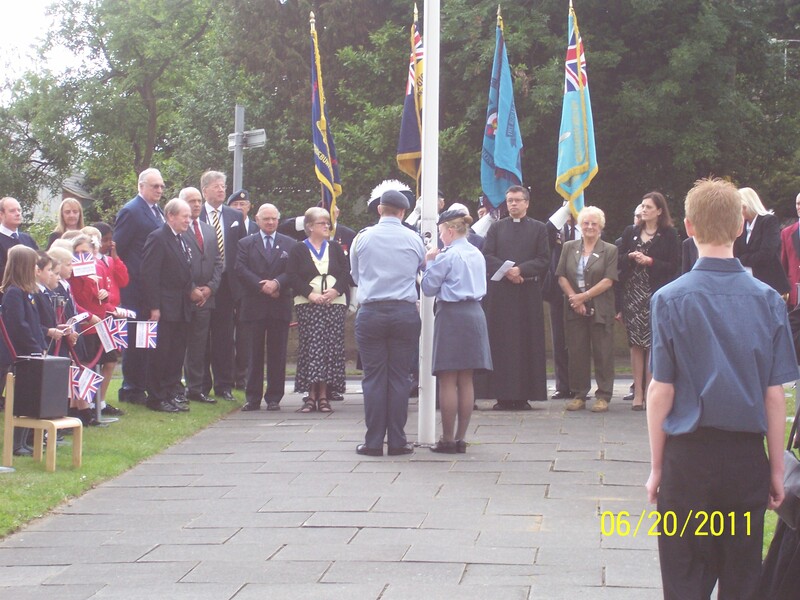 Rather embarrassingly for two young Air Cadets on raising the flag the halyard broke, so the flag had to be held out by hand. 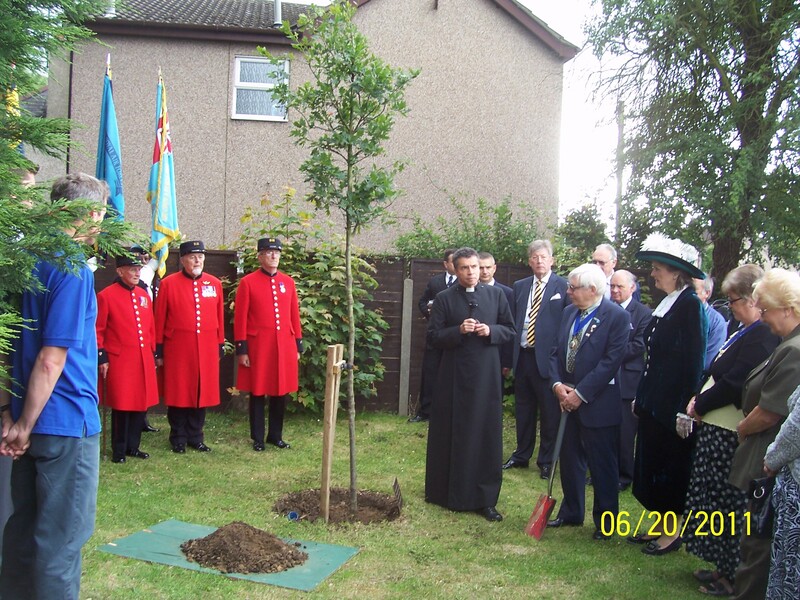 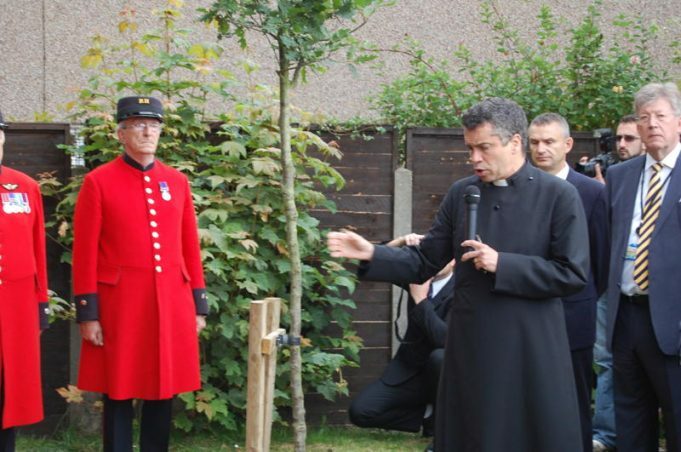 The Mayor and councillors planted an oak tree in the eastern corner of the council forecourt in memory of service personnel killed in recent conflicts. 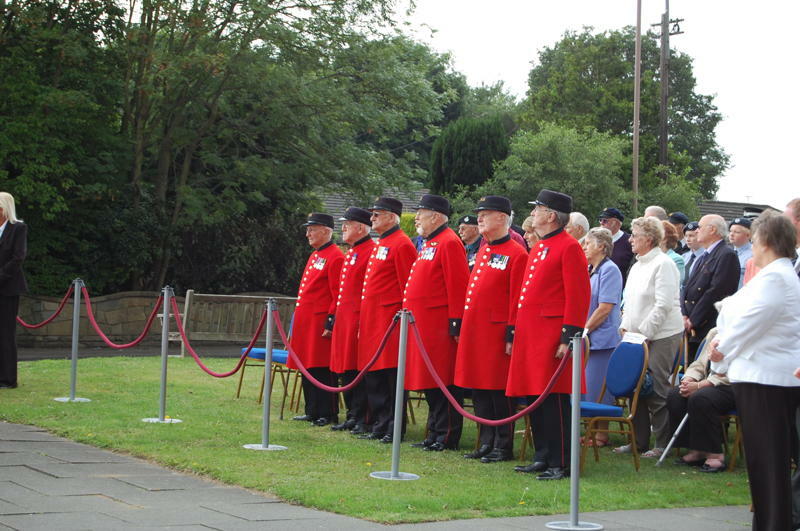 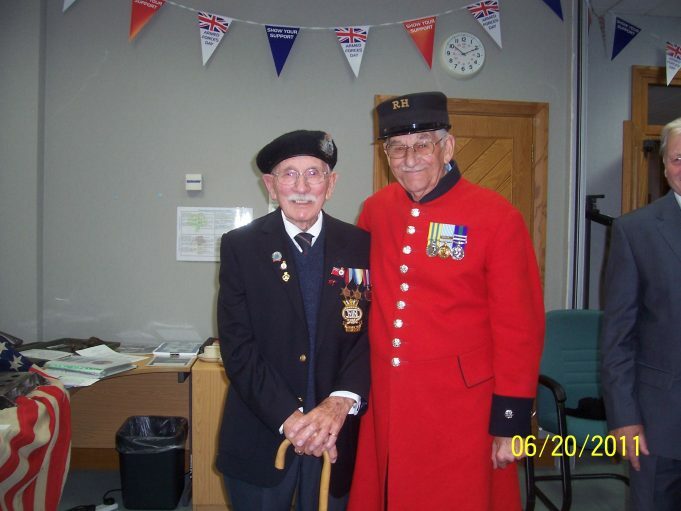 A reception was held afterwards for service personnel, veterans including Chelsea Pensioners and guests in the council offices, where the Canvey Bay museum had put on an exhibition of wartime memorabilia. Ian & Chelsea Pensioner in reception hall.